Catherine Mickel Service Details - Mount Laurel, New Jersey | Mount Laurel Home for Funerals, Inc.
Catherine “Kitty” Mickel, 85, of Moorestown, New Jersey passed away on Sunday, November 18, 2018, at home. Ms. Mickel was born in Philadelphia, Pa and resided in Moorestown for more than 50 years. She was a Secretary with the Cherry Hill Board of Education for 20 years; retiring in 1997. 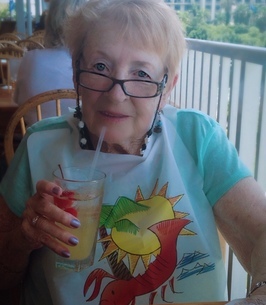 Kitty was a devoted Phillies and Eagles fan, and enjoyed playing bingo and cards, and taking trips to the casinos. She is survived by her daughters, Karen Crawford (husband Howard) and Dorothy Wescott; sister Jackie Freidlund; grandchildren, Christopher, DaAna, and Eric; as well as many nieces, nephews, and friends. She was preceded in death by her siblings, Bill, Jim, Joe, Ed, Martha, and Marge. A memorial service will be held 3:00 PM on Saturday, December 1, 2018 at the Mount Laurel Home for Funerals, 212 Ark Road, Mount Laurel, NJ.